Magicard Genuine White Monochrome Ribbon & Included Cleaning Spool. Compatible with the Enduro, Pronto, and RioPro Series Printers. This Single Color Ribbon's has a capacity of 1000 images per roll. 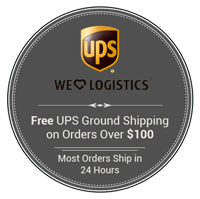 Free shipping for every order over $100.00 dollars insured via UPS Ground. ID Distributors guarantee and free assistance and resources for your ribbon installation. Magicard MA1000K-White monochrome resin ribbon for Magicard Enduro, Pronto and RioPro series card printers. The MA1000K-White replacement monochrome ribbon is capable of printing 1,000 White monochrome images per roll. The MA1000K-White ribbon is a monochrome ribbon also knows as “K” resin, for printing single color on PVC cards. When using monochromes, ribbons can be both cost and time effective for high volume printing of membership, time & attendance, employee ID and loyalty cards. Monochrome or resin ribbons are ideal for updating variable data such as names, departments, job titles, barcodes and photo’s on pre-printed cards. Using MA1000K White monochrome ribbons with your Magicard Pronto, Enduro, Enduro+ or Riopro printer reduces your print speed from 30 seconds per card to 6 seconds per card..
iD Distributors Longevity Tip: Although the Magicard MA1000K-White replacement ribbon includes a replacement cleaning roller, Magicard recommends that you clean the printer every time you change the printer ribbon for optimal performance. Regular cleaning of the printer will increase the life cycle of the printer and prevent card jams, defects in the print for dirt debris and any damage to your print head from dirt debris on your cards. You can find the compatible cleaning kit for your Magicard printer below. 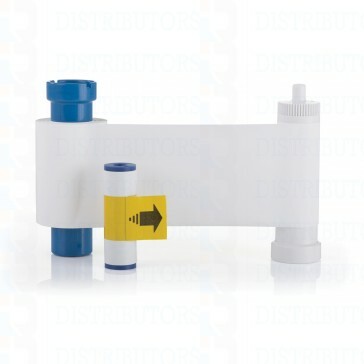 The cleaning kit that is compatible and recommended with the MA1000K White Monochrome Ribbon can be located to the right under "Related Products".